What Swiffer did to the mop and broom, Bounty DuraTowel will do to the dishcloth. I never really understood the dishcloth. Why would you want to use the same rag to clean multiple and different messes? One of the greatest things about living in Scarborough is that our building has a green bin - aka composting. So, when I use MANY paper towel sheets a week, cleaning up the counters and stove, I don't feel so bad - I can compost it. Recently P&G asked me to use a regular dishcloth for three days. I did (how could I not, when they sent it in a detective-like package?). I even went above and beyond, after reading their press release about how 1 in 3 Canadians admit to wiping the FLOOR and then wiping the counter (I only wiped the floor right before I sent the dishcloth for testing. I couldn't bring myself to use it on the counter after having been on the floor...). Talk about cross-contamination! Regardless of my "no wiping the floor until sending" rule, I got our results this week and I am both awed and completely, utterly grossed out. My dishcloth, after three days of usage, showed 800,000,000 counts of bacteria and 49,000,000 counts of yeast and mould. In comparison, an unused dishcloth only harbours approximately 1,080 counts of bacteria and five counts of yeast and mould. Ew. Imagine I had put that dishcloth back on the counter after I had wiped the floor? Wash your hands – Prior to any meal preparation, wash your hands often with warm, soapy water and dry them using Bounty DuraTowel. Wash and sanitize surfaces and utensils - Reduce the risk of contamination in the kitchen by washing and sanitizing all countertops, cutting boards and utensils that come into contact with food. Do this before and after preparing food and use Bounty DuraTowel to help clean up larger messes and wipe down surfaces. Separate your food - Make sure to always separate your raw foods, such as meat and eggs, from cooked foods and vegetables to avoid cross-contamination which is one of the leading causes of foodborne illness. Use separate cutting boards for meats and for vegetables etc. Keep your fridge clean - One way to reduce the risk of cross-contamination is to keep the fridge clean and to keep foods covered since many bacteria and molds are able to grow at refrigerator temperatures. 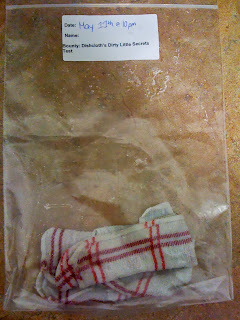 Clean your fridge using a kitchen sanitizer and Bounty DuraTowel. Wash reusable grocery bags – Wash and thoroughly dry your reusable grocery bags frequently, especially if you are carrying raw meat, fish, poultry, seafood or vegetables. 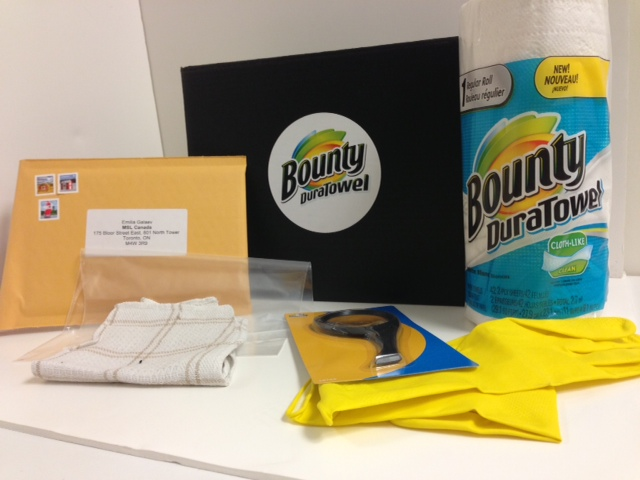 Bounty DuraTowel is so absorbent I only need one sheet to clean up messes AND is clinically proven to leave surfaces three times cleaner than Mr. Bacteria/Mould/Yeast dishcloth. It feels just like a dishcloth, sans built up germs. 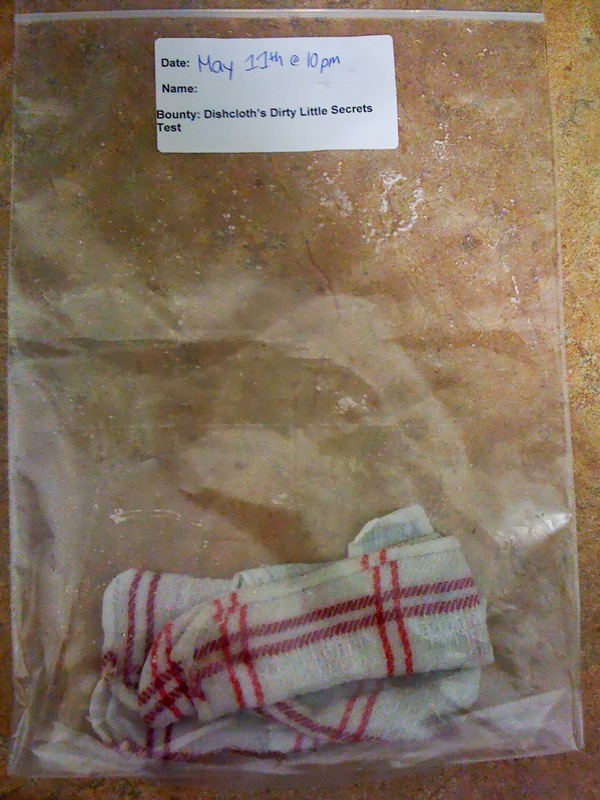 Bye bye dishcloths, I think you need to retire like the mop and broom. And now that I've shared how gross my dishcloth got, share with me - what's the grossest thing you've cleaned up with paper towel? Reading this post - I want to burn my dishcloths :-) I am completely guilty of wiping the floor (say I accidentally drip coffee when pouring - I HAVE wiped it up with the dish rag and put it back for dish us, I admit!)... and am mortified now! Awe, thank you for your honesty. The poll shows you are definitely not alone! Your dishcloth was MUCH cleaner than mine. I was so grossed out when I found out I threw out all the dishcloths we own.